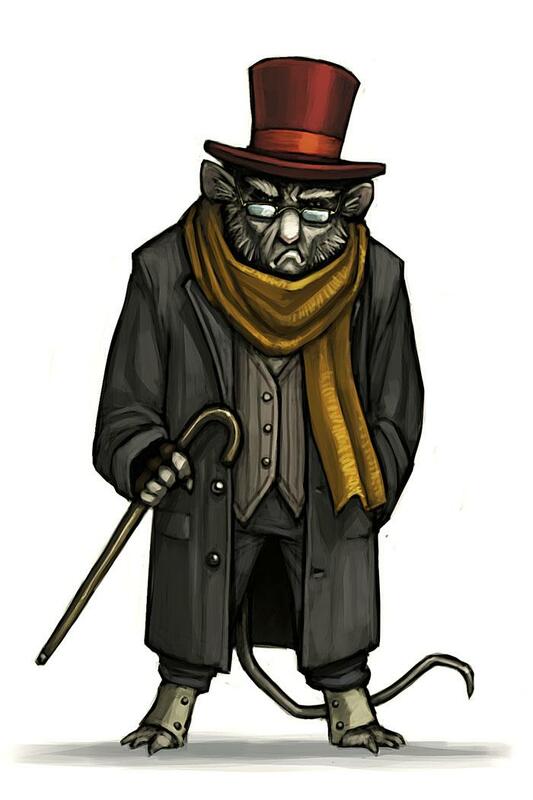 The Scrooge Mouse is an Event Mouse found during the annual Great Winter Hunt event. Information on how to locate and capture the Scrooge Mouse can be found on the current Great Winter Hunt location page. The Scrooge Mouse's name, appearance, and description reference the Ebenezer Scrooge character from A Christmas Carol. 3 December 2009: The Scrooge Mouse was released as part of the Great Winter Hunt '09 event. 23 December 2009: The Scrooge Mouse began dropping Twelve Liters of Egg Nog as loot. 15 December 2010: TheScrooge Mouse dropped Heart of Ice as loot. The original notification about the re-release announced that the Scrooge Mouse dropped a Frozen Heart as loot; it was subsequently renamed Heart of Ice during a game update on the same day. 13 December 2016: The points/gold for Scrooge Mouse were changed.